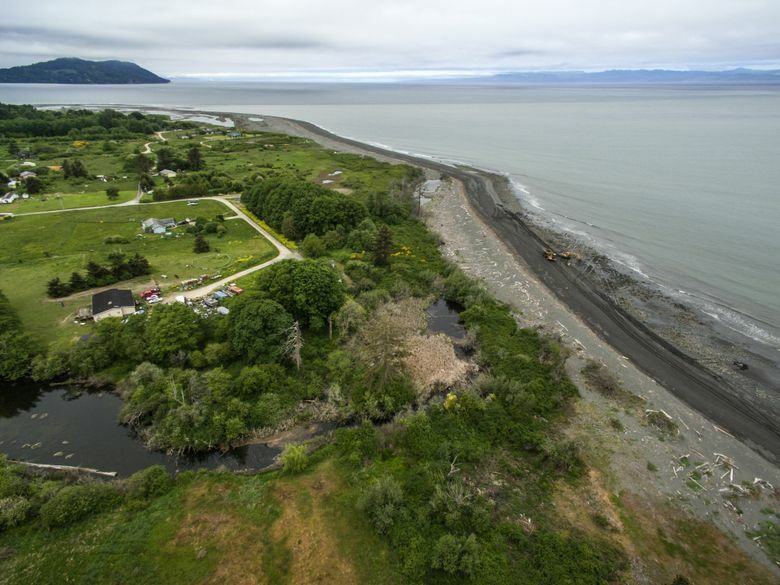 Restoring the natural shoreline at the Elwha River where it meets the sea is part of an ongoing battle to heal Puget Sound — along with a lawsuit to achieve better environmental review of new shoreline projects. Soft, distinct, the cloud of sediment moves toward the shore, pouring out of the upper reaches of the Elwha River, traveling all the way from the mountains to the sea. 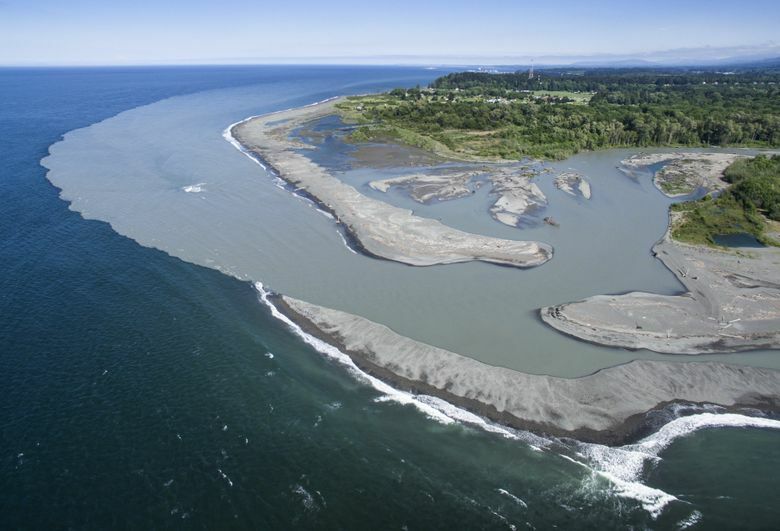 For the first time in a century, this material brought on the water is reaching the beach, where it is rebuilding a natural shoreline, a critical environmental zone where insects hop, forage fish spawn and salmon feed — fattening up for the orcas that in turn feed on them. It’s all connected. Except where it isn’t, all over Puget Sound, because of a seawall, bulkhead or other structure that deflects the tide’s nourishing gift of sand and sediment from the beach. Several environmental groups filed suit Monday in federal court seeking to expand permit review by the U.S. Army Corps of Engineers to thousands of miles of shoreline when a new bulkhead or seawall is considered. The suit is intended to prevent more damage to the shoreline, even as work is underway to repair past destruction. Since 2016, the Coastal Watershed Institute, a nonprofit based in Port Angeles, has been working to haul out the remains of a rock wall built along the shoreline on the east side of the Elwha River. Hunks of basalt as much as 8 feet in diameter and slabs of concrete 11 feet across armored the beach, left from a seawall built in the 1950s. With the world’s largest dam removal complete, and the river once again moving a mighty plume of sediment down the river, it was time to make the most of the river’s revival by preparing the beach to receive the sediment once again. 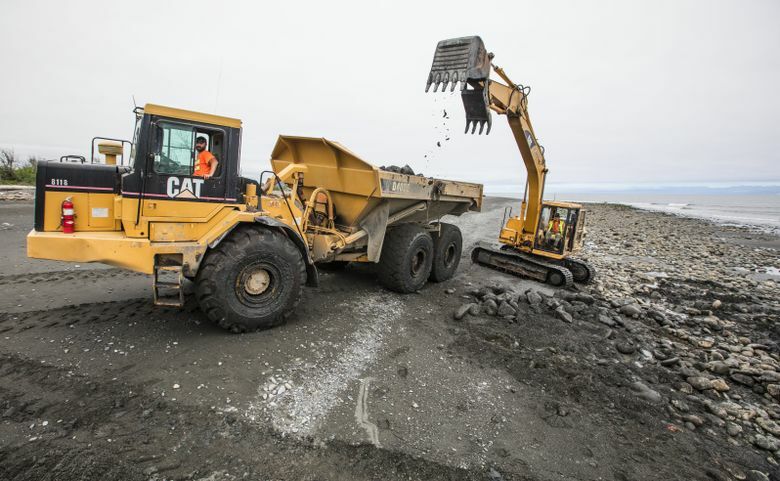 Hauling out some 7,000 cubic yards of debris — work that is still ongoing — is allowing a soft, sandy beach to grow where there was bare cobble and rock. Already, squid eggs are being deposited on the beach, said Anne Shaffer, executive director of the institute. 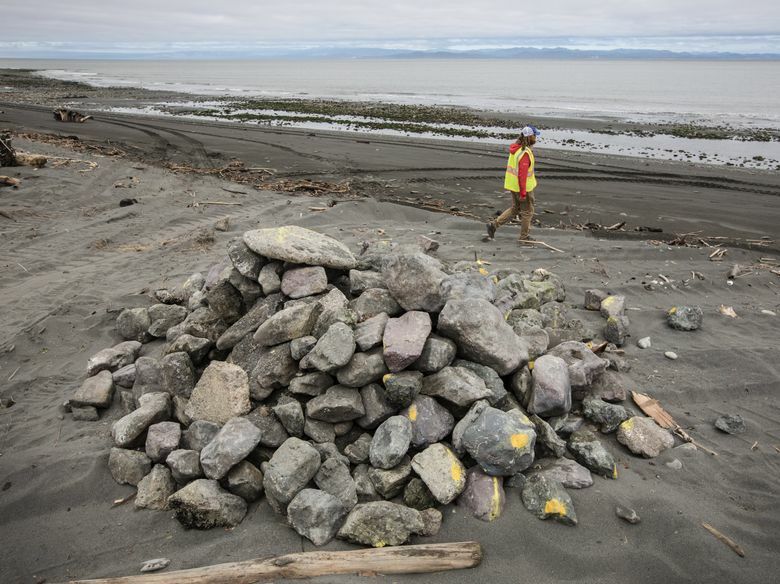 More protection is needed for the crucial zone where the land meets the sea, said Amy Carey, executive director of Sound Action, a nonprofit based in Seattle that serves as a watchdog on environmental permits for bulkheads, sea walls and other construction in the nearshore. More than 67 percent of Central Puget Sound has been hardened along the shoreline with rock and sea walls and bulkheads. Puget Sound-wide, more than a quarter of the natural shoreline similarly has been lost. 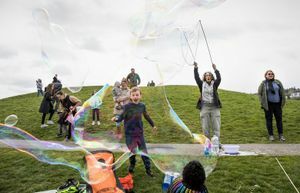 Sound Action joined with other environmental groups in a lawsuit filed in U.S. District Court Monday for the Western District of Seattle by Earthjustice, seeking expanded environmental review of projects that wall off or harden the shore. Today the majority of shoreline-armoring projects in Puget Sound get no federal review. Not by the U.S. Army Corps of Engineers, or by fish and wildlife agencies to protect threatened and endangered species. That’s because the corps has limited its reviews. The lawsuit seeks to expand the corps’ scrutiny to a band of shoreline covering 8,600 acres up to the high-tide line not currently under review. “The corps is supposed to protect these shoreline areas, but right now the Army Corps is AWOL in enforcing the law,” said Jan Hasselman, attorney for the Earthjustice Northwest office in Seattle. Gov. Jay Inslee, tribes and multiple government agencies have asked the Seattle District since at least 2015 to expand its review to the high-tide line. The district eventually concurred — but the incoming Trump administration killed the reform within weeks as it came before higher-ups for review. Kyle Loring, staff attorney of Friends of the San Juans, another plaintiff in the suit, said the nearshore and Puget Sound won’t recover without additional protection. Dallas Edwards, spokesman for the Seattle District, said the corps would have no comment on the lawsuit. At stake isn’t just the shoreline in front of bulkheads or sea walls, said Charles “Si” Simenstad, research professor emeritus at the University of Washington in the School of Aquatic and Fisheries Sciences, and an estuarine and coastal marine ecologist. The disruption of the natural wave action on a beach actually ripples all the way down the shore, because it deflects the waterborne pulse of sediment, called a drift cell, that nourishes entire sweeps of shore. “It isn’t like you just alter your sidewalk in front of your house; you change the whole street,” Simenstad said. Indeed, the Elwha shows an effective drift cell back in action. 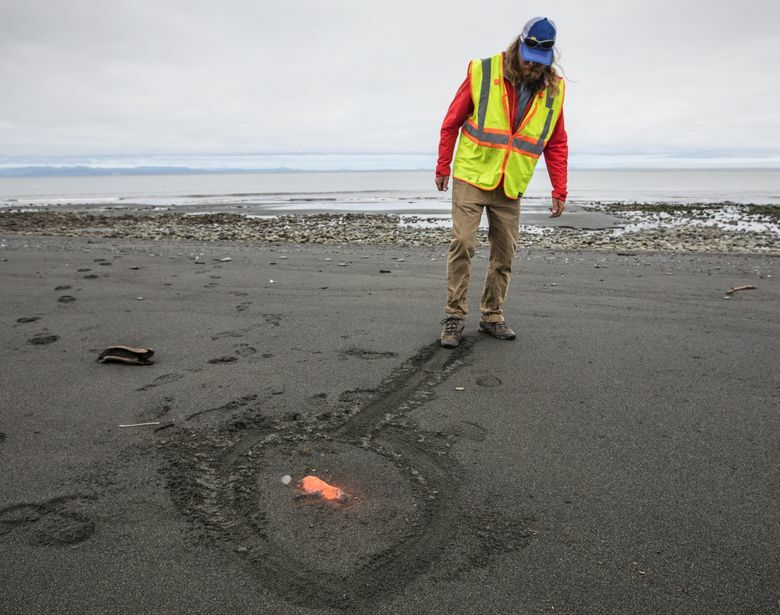 A soft, flat, sandy beach has grown not just where CWI is pulling out the old wall, but continuously, 2.7 miles down the shoreline to the east, said Jamie Michel, project lead for CWI. All the natural processes are coming back as the shoreline rebuilds: Today seabirds pick at the bugs all over the beach wrack. Big wood brought down by the river is stacking onshore. Forage fish spawning is expected next, Shaffer said.